Moving my project from UDK to UE4. The game engine I initially chose to build my project in was UDK, but I have now chosen to move over to UE4. This will allow me to create a more realistic looking environment as the materials and lighting effects in UE4 are a lot better than in UDK. The way that the materials are put together are a little different in UE4 and allow more control over the types of effects and finishes that are possible. This has led me to do quite a bit of research in to the use of the Roughness and Metallic nodes in the material editor as well as the use of RGB Roughness Masks which allow the roughness control of different areas of the same texture sample. The Last Resort : Asset Creation. After creating a block-out of the environment; I started working on some of the many assets that fill The Last Resort which will give it a used and lived in look and feel. The first of these are the futuristic looking (in 1990) tables, chairs and bar stools. 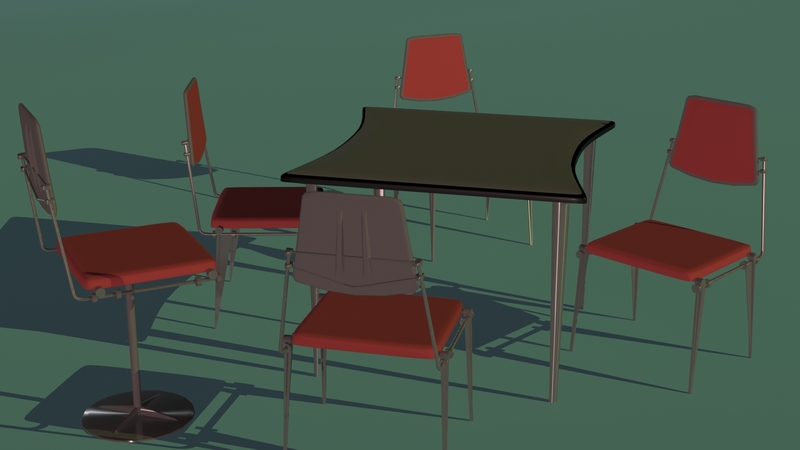 I was unable to find any decent reference images of these, so I resorted to watching the movie and freeze framing when the tables, chairs or bar stools where in clear view. Wireframe render of the assets. A render showing in-Max materials applied to the modeles, next step will be to unwrap and texture for use in UDK. 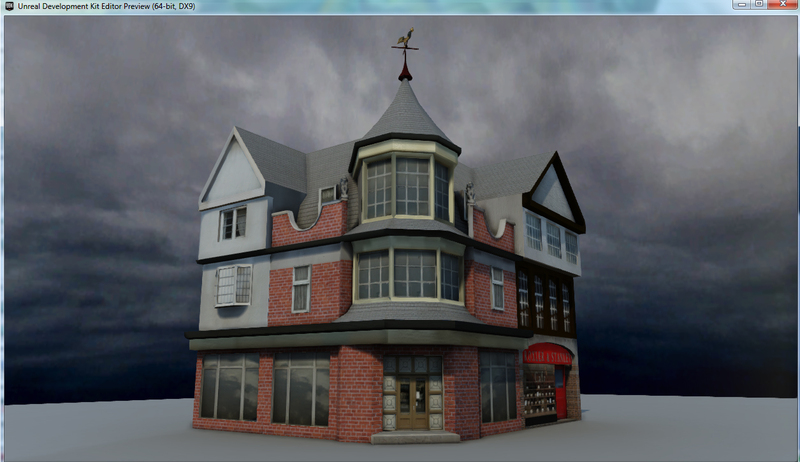 This the finished building with textures in the UDK editor. The enclosed movie environment that I have chosen to recreate for my final major project is ‘The Last Resort’ bar/club/brothel from the 1990 version of Total recall starring Arnold Schwarzenegger. This is a great example of cramming as much as possible into a small confined space and it will be great to explore and to look around in once it is completed. I have also decided to model the main character ‘Douglas Quaid’ played by Arnold Schwarzenegger. 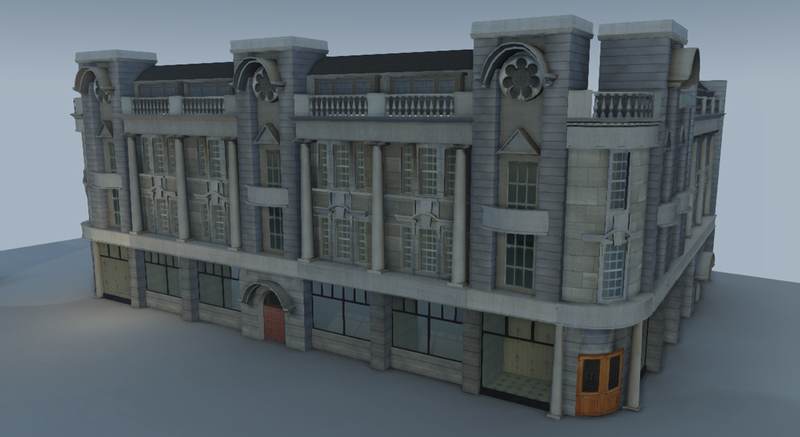 This is a work in progress video of our Year 2 group project Paragon’s Past, showing what Hull’s Paragon Station and surrounding area looked like at the outbreak of World War 1. Strelling’s Furnishings: Anlaby Road, Hull. 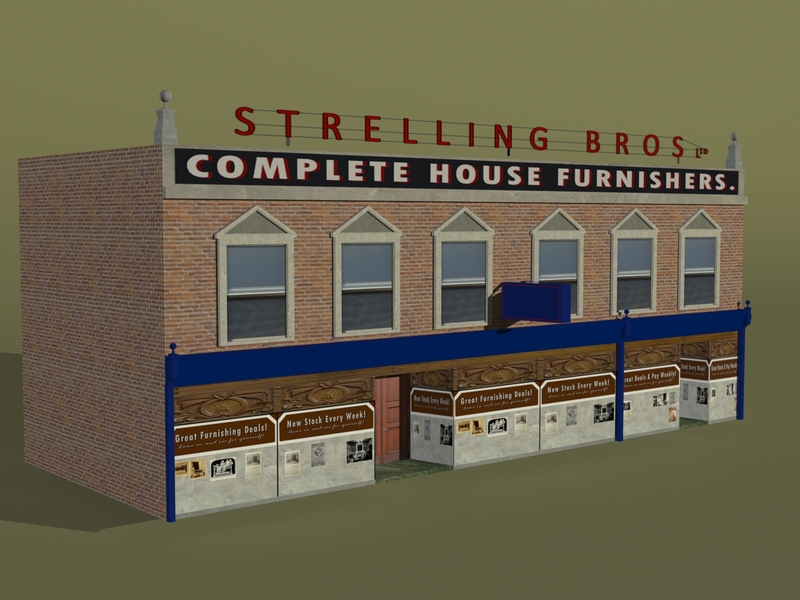 This is Strelling Bros Furniture store that once stood next to the Theatre De_luxe around 100 years ago. This is the model I built, based upon the above photograph. Seaton Building: Paragon Square, Hull. 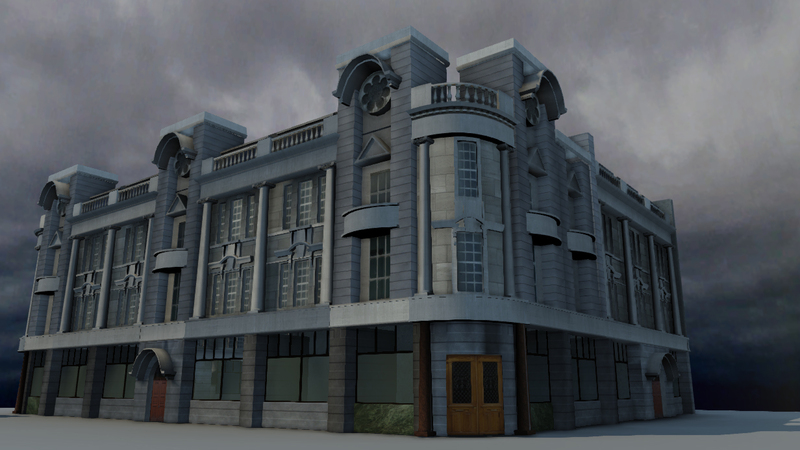 Just an update of the finished building I started a few weeks ago, now with all textures done. As well as creating a part of Hashima Island’s architecture which is to be re-visualized as it was 40 years ago, I also wanted to add an interactive element to the environment which would enable the user to receive information both about the history of the buildings and of the people that once called Hashima their home. To achieve this I added a flat plane as an Interp Actor which then enabled the plane to be animated in Unreal Matinee which was triggered using a hidden trigger. Once the trigger is toggled the Matinee sequence starts and the plane which displays information about the building is brought into view. Using Kismet to control the triggered animation sequence also allowed me to add an accompanying sound to indicate the beginning of the animation. Web designer, football fan. This is my creative development blog for my uni work. I am currently studying games design at the Hull school of art and design and this is the work i have been doing.